Image of Earth's moon taken by NASA's MESSENGER's Wide Angle Camera. 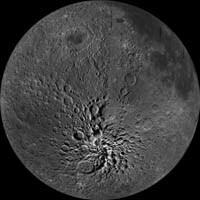 The MESSENGER MDIS view of the Moon is centered about -60°, 280°. 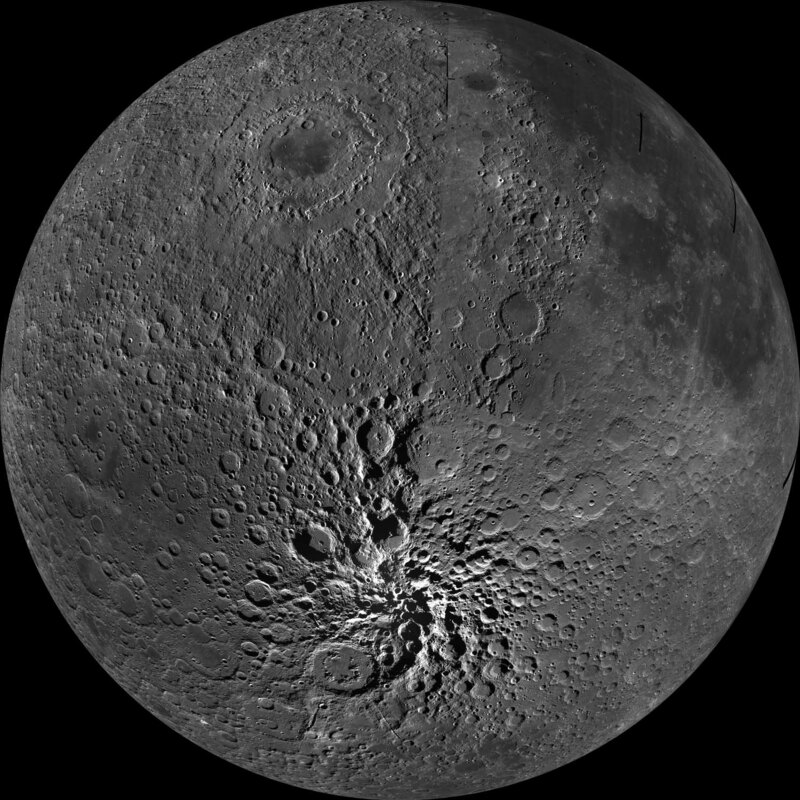 This image is the Moon as seen from the MESSENGER spacecraft on July 31, 2005, less than a year after the spacecraft's launch from Cape Canaveral. The lunar image was taken by the MESSENGER Wide Angle Camera (WAC), which is part of the Mercury Dual Imaging System (MDIS). At the time when the image was taken, the spacecraft was about 992,814 kilometers (616,906 miles) from the Earth.